Isn’t it weird how lots of kids say they don’t like fish, but they love canned tuna fish? I was one of those kids, once upon a time. I wouldn’t eat any fish when I was growing up, but canned tuna? That didn’t count. I’m not quite sure how I justified that in my little brain, but at the time, it made so much sense. I’m still a lover of canned tuna, but also obsessed with fresh. Man, I’m so happy I grew out of my long fish-hating phase. Life is so much better now! The only thing I don’t love about fresh fish is that you really need to cook it the day of or the day after you buy it. I try to stock my freezer with lots of frozen fresh fish, too, but let’s be honest, I rarely remember to take it out of the freezer to thaw before I go to work. Or I take it out and then get home from work only to find laziness striking its ugly head. So, I still keep plenty of canned tuna in my cabinets. And yes, it’s almost always Bumble Bee Tuna. I’m super excited that they’re coming out with lots of new varieties… And that I’m learning more ways to serve it instead of in tuna melt form (but omg I do loveee a good tuna melt). When I was trying to determine which variety to use for this recipe, it didn’t take long for me to grab the Prime Fillet Albacore Tuna with Jalapeños & Olive Oil. If you make it spicy, I will pick it! 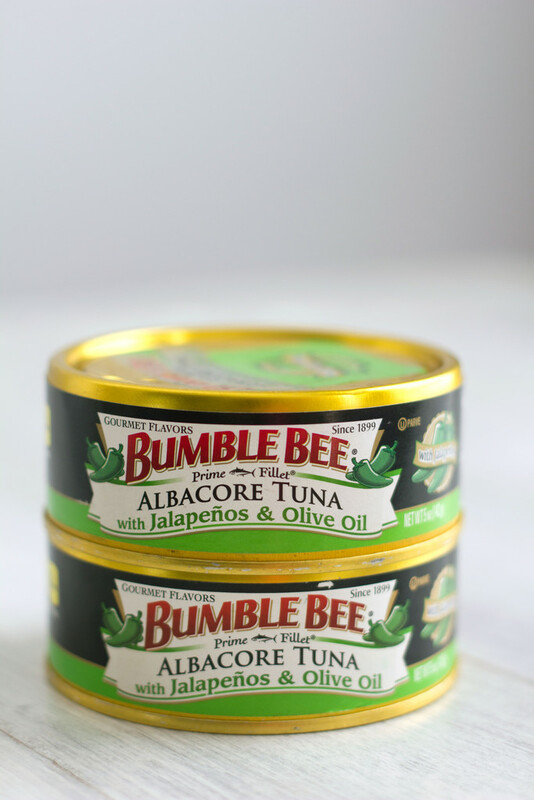 This tuna from Bumble Bee is made with the highest quality albacore tuna. 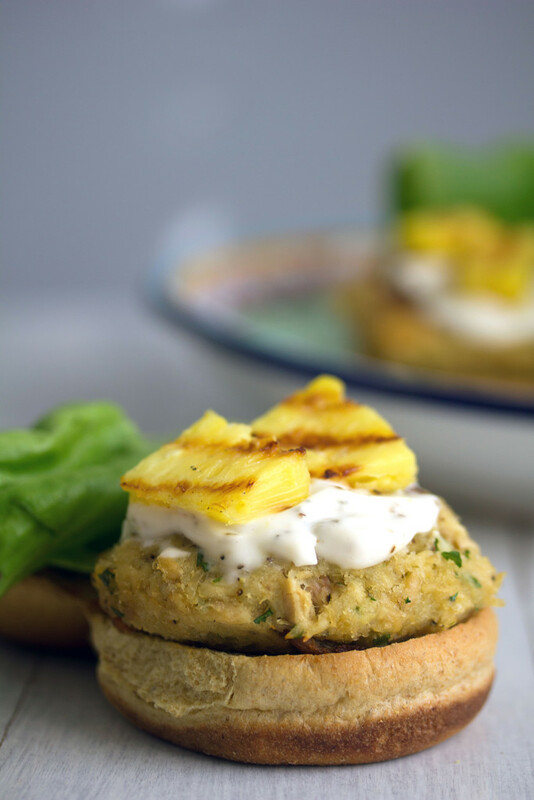 I opted to make tuna burgers with a spicy and tropical flair. In honor of summer and all. I made these on my stovetop in a skillet, but you could totally grill them up. They’re super simple and can be made in a jiffy, too! You simply need to mix the ingredients together: 2 cans of Bumble Bee Jalapeño Tuna (drained of all but 1 t of the oil), 1 T freshly squeezed lemon juice, 1 T finely chopped parsley 1 large egg, 1/2 C panko, and 1/2 t ground black pepper. Mix well! And form 4 burger-sized patties. You’ll want to pop them in the fridge for about an hour here as that will help them hold their shape when you fry them. 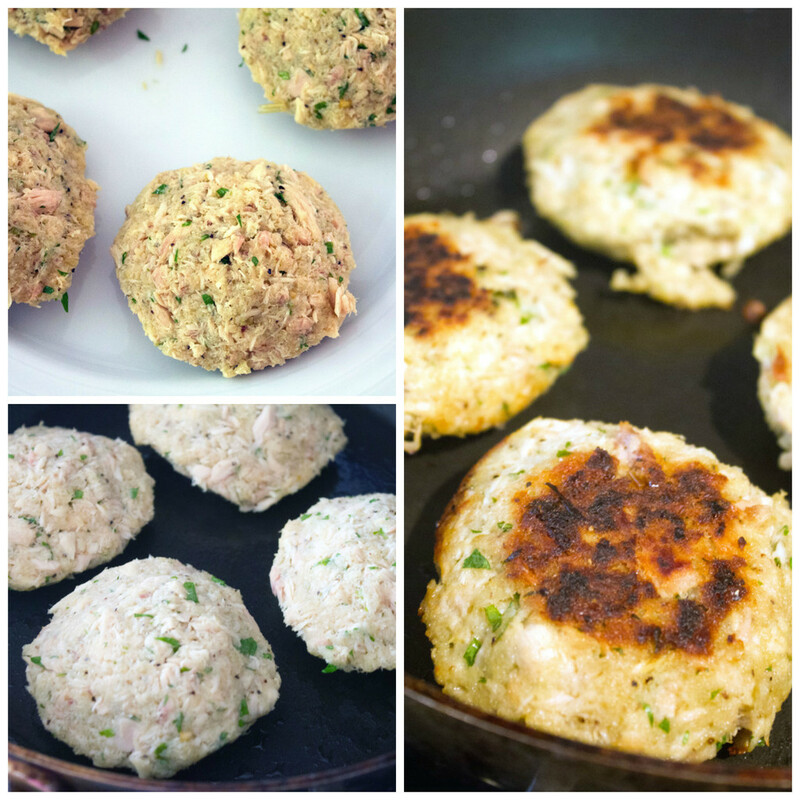 Once the tuna burgers chilled, heat a large skillet with 2 T olive oil over medium heat. Add the tuna patties and cook for about 4 minutes on each side, until browned. While those are cooking, grill up the pineapple, too! You can do this in either a skillet or a grill pan. I love the marks a grill pan makes. Heat the pan over medium-high heat, add pineapple, and cook for about 8 minutes, stirring often, until pineapple begins to brown. 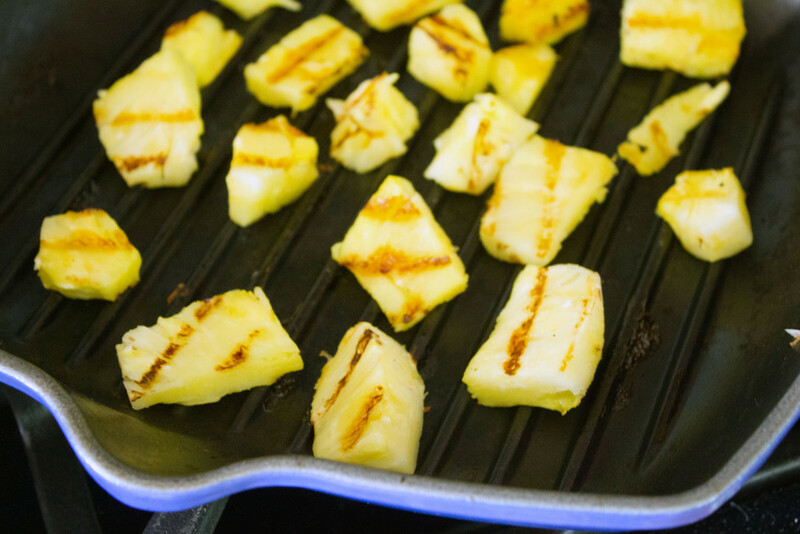 You don’t need any oil or anything in the pan; the pineapple will naturally caramelize when heated. The lemon mayo is even easier. It’s not a true aioli since I used already made mayo, but it’s still quite delicious. Simply mix together 1/2 C light mayo (or regular, if you want! ), 1/2 t lemon zest, 1 t freshly squeezed lemon juice, and 1/4 t ground black pepper. 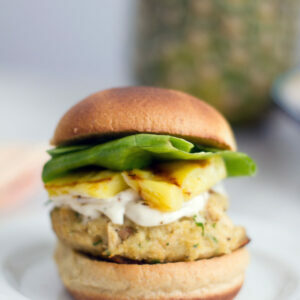 Assemble the burgers by placing the tuna patties on a whole wheat bun and topping with lemon mayo and grilled pineapple. I recommend a little bit of lettuce, too. Summer, I’m in love. Seriously, though. 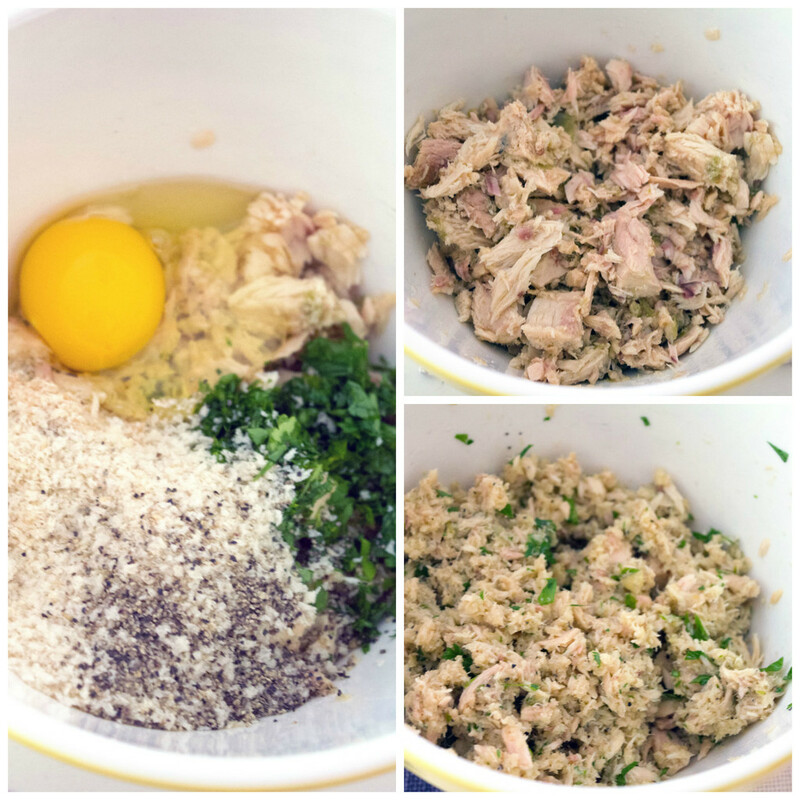 If you haven’t had canned tuna in a while, you need to try this! 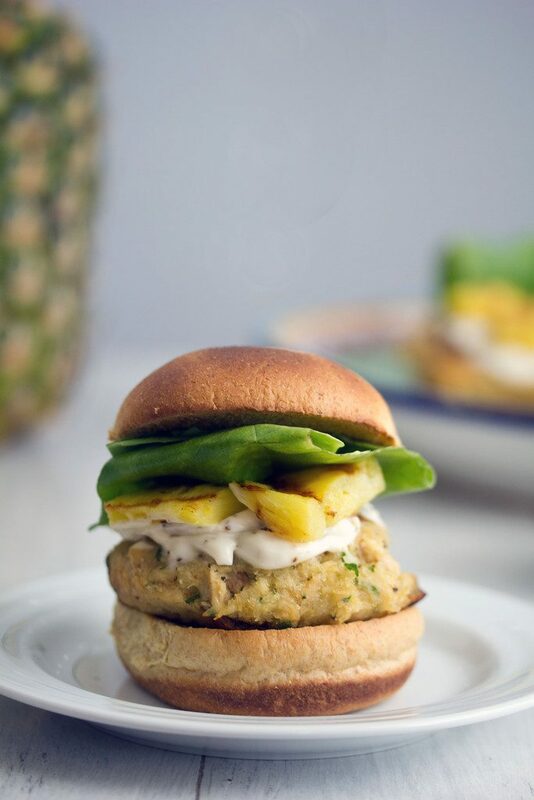 The slight spice of the tuna (even though it’s got jalapeños in it, I promise it’s not overly spicy at all) combined with the sweet caramelized flavor of the pineapple and tart creaminess of the mayo is basically the dream combination. I sometimes base a meal’s success on my husband’s reaction. The fact that I put a leftover tuna burger in the fridge and he willingly made it for lunch the next day without any encouragement from me says a ton. He hates leftovers and has been known to let all kinds of delicious leftovers go bad. I was so happy when I got home and he told me he had this for lunch. I majorly stocked up on the Prime Fillet Jalapeño, but also want to try the Chipotle variety. I mean, I really do think that would make an excellent tuna melt with a little bit of sharp cheddar. Can we please make it more socially acceptable to bring tuna sandwiches to work for lunch? I’m not going to lie, I actually do it quite often. Egg salad, too. Prime Fillets also come in pouches, making it even easier to transport lunch wherever you may go. Welcome back into my life, canned tuna. Let’s do more things together, OK? When was the last time you had canned tuna? How did you prepare it? Canned tuna doesn't have to mean tuna sandwiches. 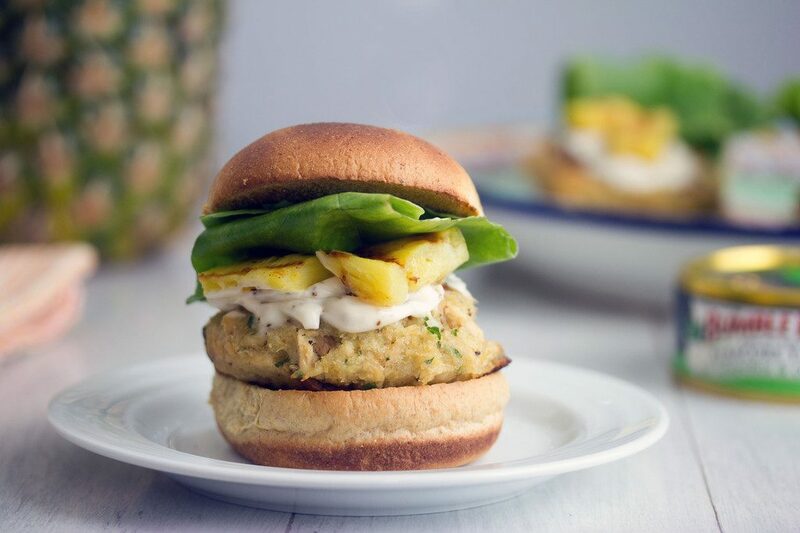 This recipe for tropical-style Tuna Burgers is likely to become a summertime (and all-season!) staple. Drain tuna, reserving 1 t oil, and place in medium-sized bowl. Add oil from tuna, lemon juice, parsley, egg, panko, and black pepper to bowl. Mix well. Form 4 burger-sized patties with tuna mixture. Place in refrigerator for about an hour. Heat large skillet with 2 T olive oil over medium heat. When skillet is hot, add tuna patties and cook for about 4 minutes on each side, until browned. While tuna burgers are cooking, heat a second skillet or grill pan over medium-high heat. Add pineapple to pan and cook for about 8 minutes, stirring often, until pineapple begins to brown. Top tuna burgers with lemon mayo and grilled pineapple and serve on toasted whole wheat buns with lettuce. 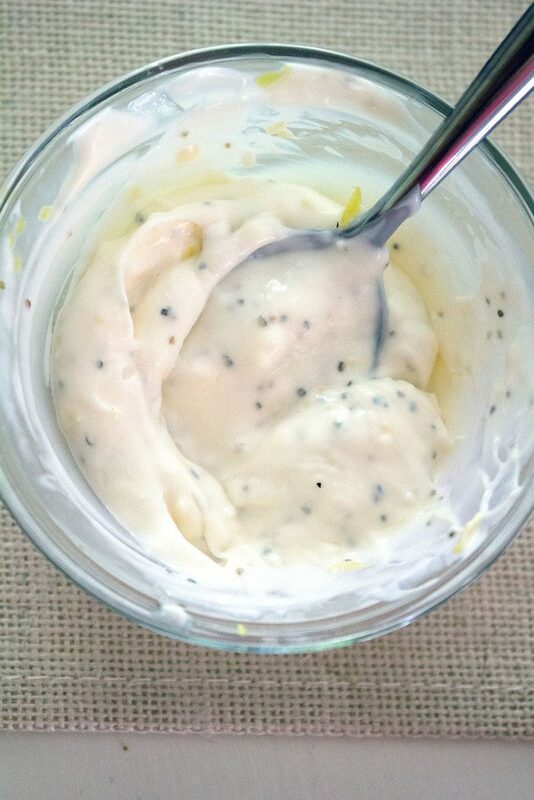 In a small bowl, mix together light mayo, lemon zest, freshly squeezed lemon juice, and black pepper. 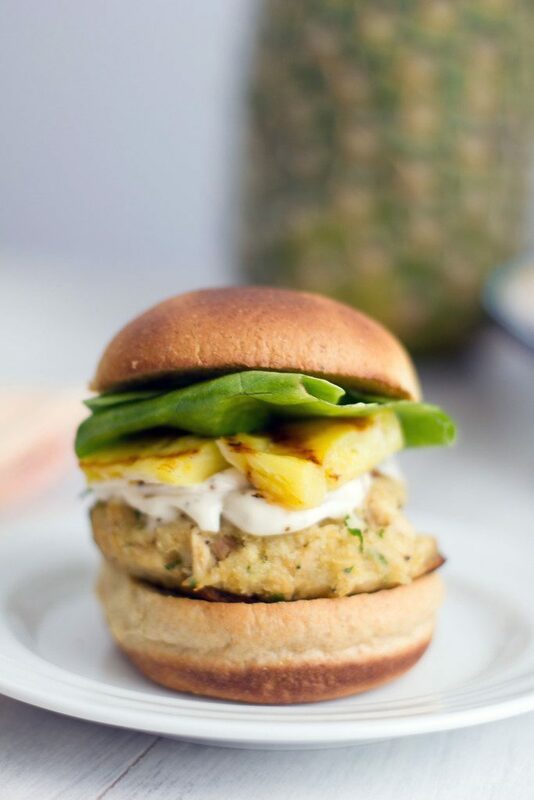 14 Responses to "Jalapeño Tuna Burgers with Grilled Pineapple and Lemon Mayo"
I will eat canned tuna for lunch at work, but for dinner I prefer freshly caught. As for this burger – yes please! How fun they are coming out with new and exciting tuna flavors! your tuna burger is a very creative take! 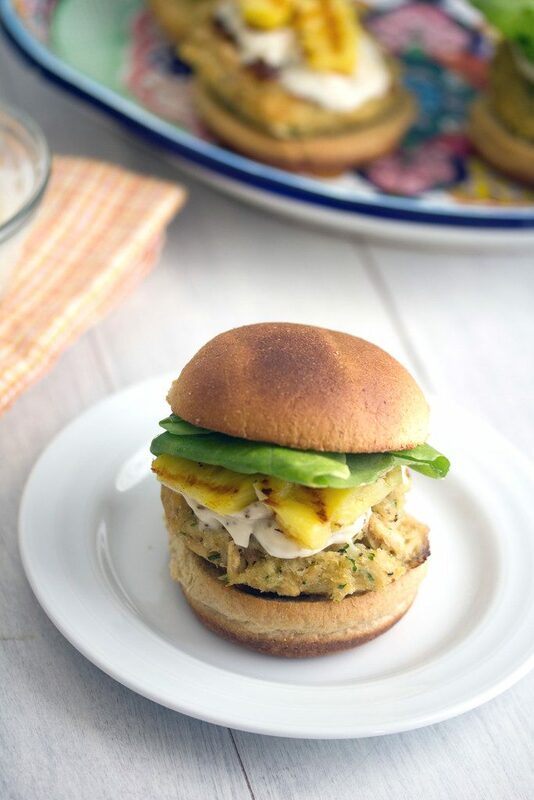 I love tuna and this is such a flavorful burger! It sounds amazing! Love the grilled pineapple! This burger sounds delicious, Sues! I’ve never had a tuna burger before. I love the concept of it, especially with the grilled pineapple. Yum! Great way to enjoy some tuna! That tuna sounds so awesome. I never heard of it before but this burger is the perfect thing to do with it!!! 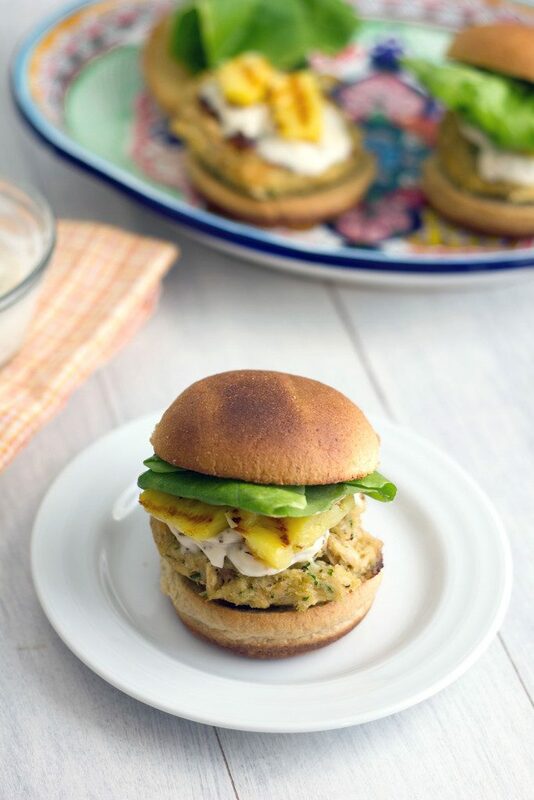 I’m always looking for an alternative to standard burgers for something different and these tuna burgers look perfect. I love the lemon mayo and I can never get enough of grilled pineapple! 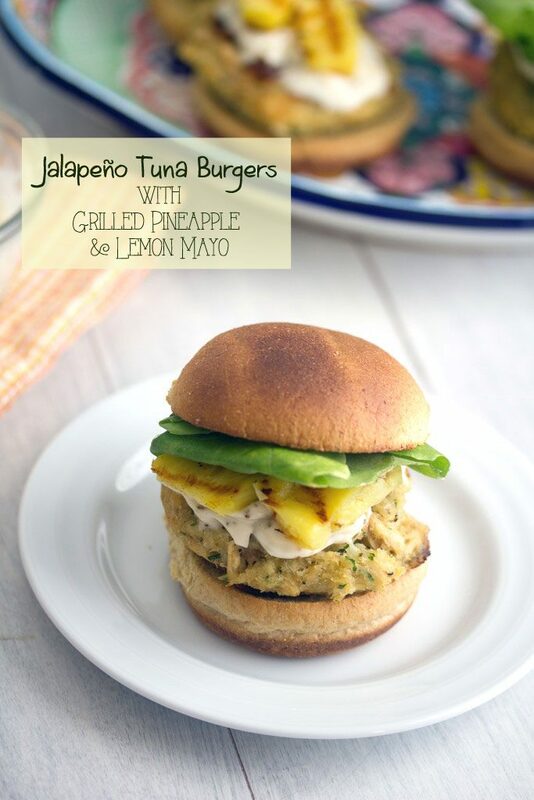 hmm i never thought of jalapeños with tuna before- might have to make some of my own burgers! I’m kiiiind of obsessed with this. The flavors here sound fantastic – especially the jalapeno! I am totally trying this soon….like really soon. That lemon aioli…yum. Drooling. Mmm didn’t realize Bumble Bee Tuna was making different flavors. I’ll need to check this out in my grocery aisle. What a great, creative and flavorful way to make tuna burgers from canned tunafish! such a great use for a pantry-staple item!